General John Kelly accepted an offer from President Donald Trump to remain his White House chief of staff through 2020, according to a report in the Wall Street Journal. The news breaks just after Kelly reaches his one-year anniversary in the job, prompting wide media speculation that he would finally leave the administration. 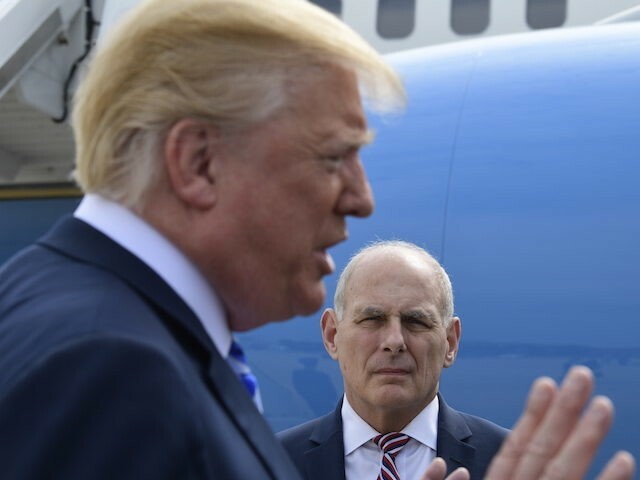 Breitbart News reported on Sunday that sources close to Trump believed that the president would not fire Kelly and that if Kelly did leave, it would be at a time of his own choosing. But it appears that the president is eager to end the rumors of Kelly’s departure for good. A source speaking to the Wall Street Journal said that “the plan” was to have Kelly remain until 2020 but that it could always change.